Are you part of the #cleaningobsessed trend? Of all the issues that end up attracting massive followings on social media platforms, this one might take you by surprise though it’s a trend we’re happy to get on board with. Yes, it’s now a ‘thing’ to film yourself cleaning your toilet and waxing lyrical about the process. The BBC reports that sales of cleaning products have rocketed in the last year, perhaps fuelled by how popular chores are on Instagram, Twitter and the like. Lorna McDonald, a store manager of B&M in Bangor, told the BBC they’d noticed a lot of younger people coming in to buy cleaning products. Mrs Hinch, whose Instagram following tops more than 1.4 million, isn’t your stereotypical ‘cleaner’ and her modus operandi is glamorising cleaning tasks. Minky, an online company that sells cleaning products, saw a 10,000 percent rise in sales after Mrs Hinch endorsed one of their products in an unpaid for post. A spokesperson for the company told BBC News Northern Ireland that stock is selling out as quickly as it goes on sale. Another wholesale website for household goods who partner Mrs Hinch, Easho, said the cleaning obsession has benefited them. They described the craze as the ‘Delia effect’ after the famous cook, Delia Smith, whose endorsement of ingredients or kitchen equipment often led to sell-outs. In the BBC article, a young woman from Donaghadee in County Down said cleaning had become one of her friend group’s most common topics of conversation, thanks to social media. Nurse Katie Colwell said she found cleaning relaxing, and she spent hours watching social media influencers who promote the activity. She and her friends discuss products they have tried and if they rate them and the tips they have picked up. 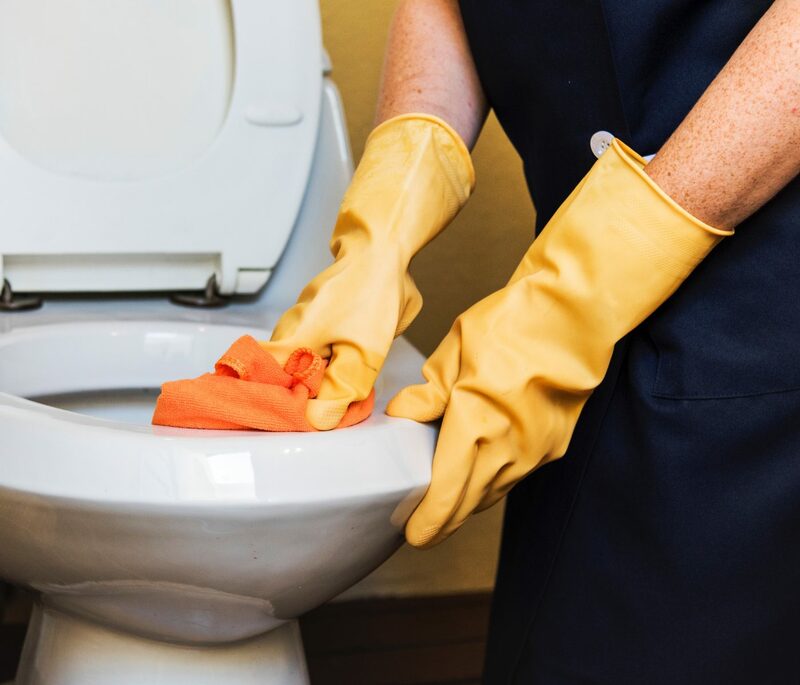 Richard Hopping from the market research company Mintel said their data showed 39 percent of cleaners feel stressed if they homes are not clean, so promoting cleaning as a tool for benefiting mental well-being might be a factor in why the trend was so popular online. Will cleaning as a social media trend stand the test of time? Niamh Taylor from the digital marketing agency Digital 24 told the BBC she didn’t think the phenomenon would be as popular through 2019 as it was last year. Some people have a problem with how many chemicals and plastics are used in products, while others didn’t understand the appeal of watching someone clean up. To find out more about Just Clear’s services (house clearance, probate clearance, man and a van, office clearance, mattress removal, data and WEEE disposal etc.) please phone the company on 020 3130 0008.